I've started continuing my adventures into C++. 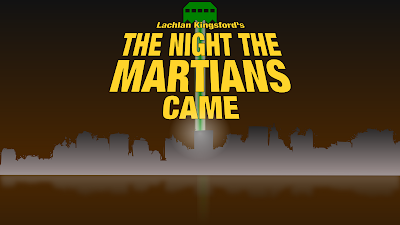 Working on the few assets to make a Space Invaders derivative game: 'The Night The Martians Came'. Space Invaders will teach me more about class design in C++. The use of different levels will increase my knowledge of State Machines. The invaders will teach me about some basic interacting AIs. The whole thing will simply help my C++. Goal to finish: 1 Month, hopefully less. We'll see how it develops soon. I'm working my way to make the games I actually want to - but I'm in a new language, and I've got bad programming habits. So walking, and then jogging before I sprint sounds like a pretty good plan.